Let’s talk about this “Little Blue Thingy” ……which has been featured on The Today Show (twice! ), the Ellen Show and the Rachel Ray Show. It’s called our AMP MD Roller. It’s a surgical grade needle roller. Derma-rolling has been around for years with Dermatologists, plastic surgeons and estheticians at a very high price! Here’s how it works…. After the age of 30, your body stops producing collagen. The only way to get collagen production is if you get a scrape or a cut and your body works to repair itself. What the roller does is puts microscopic ‘traumas’ (I know! Stick with me here) in your skin. When there is damage, our brain triggers tightening, firming and cellular turnover which encourages collagen. Then, after you roll, you pair it with our Night Renewing Serum which has retinol, peptides and vitamins where you’ll get an anti-aging effect! Microneedling is great for turkey necks, acne scarring, deep lines in forehead and overall tightening of your skin. 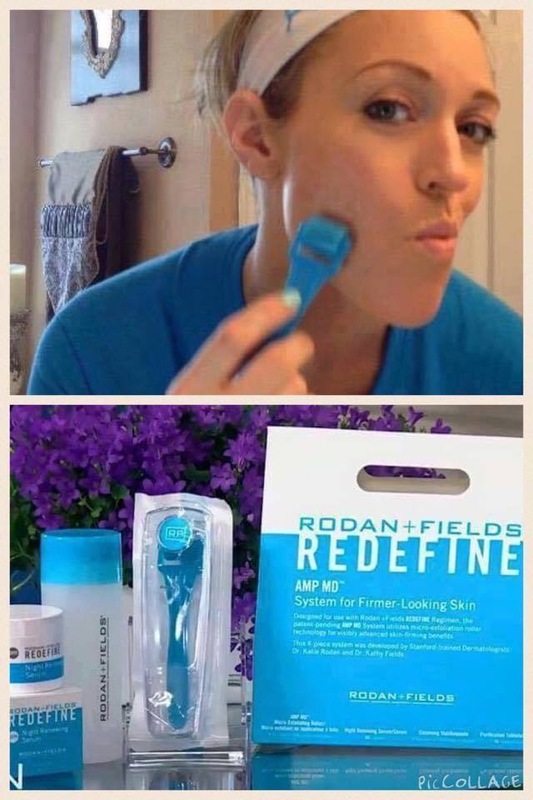 Categories: Rodan + Fields Skincare | Tags: acne, AMP, ampmd, care, fields, forehead, lines, md, micro, neck, needles, night, redefine, renewing, rodan, roller, scarring, scars, serum, show, skin, skincare, today, turkey | Permalink.